ILEA Live is about the business of experiential creativity. It is a platform for educational, collaborative and business building experiences. It is designed for creative event professionals. 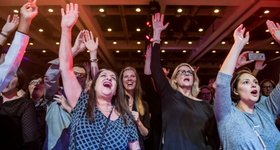 The goal of the conference is for attendees to strengthen their creative output, sharpen their business strategies and find inspiration along the event horizon. ILEA Live attendees span a great range of roles in the experiential industry, come from a wide variety of places around the world, and cover a lot of experiential disciplines. So what do they have in common? A deep thirst for engaging learning, an affinity for creative thought and a passion for the industry. 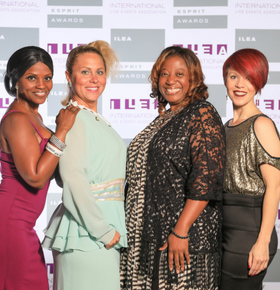 The ILEA Esprit® Awards program is a globally recognized awards competition that honors the exceptional professional achievements of individuals and organizations from across the ILEA membership, representing all facets of the event. For over 20 years, the ILEA Esprit Awards program has been one of the most dynamic multi-disciplinary events industry awards programs, attracting an exceptional range, depth and quality of entries. The Esprit Awards program is guided by the International ILEA Esprit Awards Committee to ensure the current awards reflect the ever evolving events industry and represents the talented individuals who provide the services. Each year, ILEA leaders fine-tune the program to reflect the most relevant advancements in the creative events industry. ILEA’s annual Spirit of Excellence awards recognize some of the best and brightest leaders in the ILEA organization. From outstanding ILEA chapters to dedicated individuals, these members leave their mark on the strategic vision of the association. The Global Event Forum highlights global industry engagement by bringing together high-level influential international live and special event professionals from corporate, association, sport, wedding and live event production backgrounds. Representatives meet in a “G-20” style environment to debate and discuss relevant topics impacting the live events industry globally, including industry value and advocacy. See a full listing of local ILEA Events.